Combining Greek, Lebanese, Turkish and Southern European cuisines, Staunton Street’s Awtar is the perfect spot for a light bite, drinks and some shisha. For something to line your stomach before you sip on exotic cocktails, the restaurant’s hummus comes in several varieties: classic, spicy hummus with spiced peppers, Beiruti hummus with parsley, onion, tomato and Mediterranean spices and Awtar hummus with homemade spices and fine nuts. From $68. Mana! is a regular go-to in Central for healthy vegetarian eats that don’t skimp on quality and flavour. 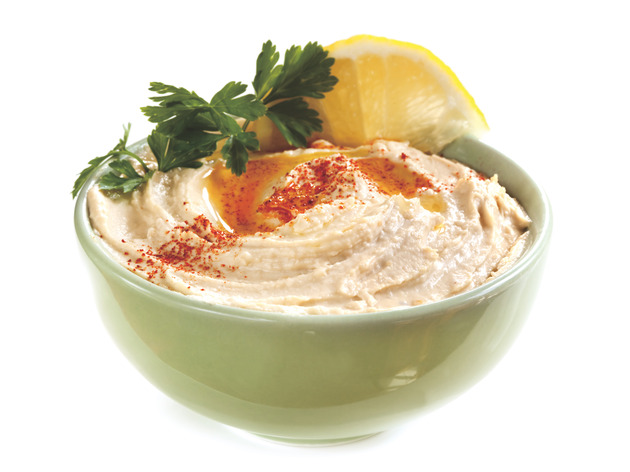 The hummus contains all natural chickpeas, lemon, garlic and tahini and can be bought by the tub, included in a build-your-own-wrap or found in the Bliss Flat – a mix of avocado, hummus, cucumber and baby spinach. The stuff even features on Mana!’s excellent mezze platter alongside baba ghanoush, olives, pickled peppers, green salad and flatbread for dippin’. $55. North African food is severely underrepresented in Hong Kong but what the city lacks in quantity The Nile makes up for with quality. We recommend just about everything on the menu but definitely don’t miss the smooth, fresh hummus that comes with a variety of toppings. 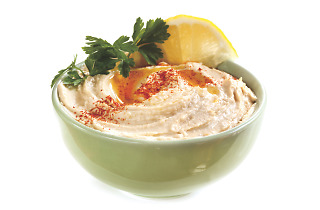 Keep it classic or go meaty with hummus and chicken or lamb, or get spicy with harissa hummus. If you’ve cravings for funky funghi, there’s hummus topped with mushroom or black truffle, too. From $55. Private dining club Zahrabel is a Lebanese restaurant that requires diners to register as a member before being afforded the pleasure of eating there. Zahrabel serves a mouthwatering mixed hot and cold mezze plate that comes in sets of six, eight or 10 dishes featuring a whole host of favourites, including some of Hong Kong’s best hummus. Mop it up with the endless supply of hot pita but make sure you save room for the rest. Set menus from $380. This TST spot serves up delicious contemporary Middle Eastern and Mediterranean cuisine and has a special vegetarian menu. The classic hummus is to die for but if you really want to feel the burn, try the spicy hummus har with homemade red chilli sauce. The other star is the hummus b’ lahme, served hot with homemade mince and pine nuts, for a meaty and nutty punch that really elevates the creamy dip. From $80. Set back behind verdant foliage on Glenealy, this Lebanese restaurant is a slice of Zen in the heart of Hong Kong. Sumac’s hummus with lamb is the perfect way to start a meal. The smooth and fresh dip is topped with chopped lamb, perfectly cooked and full of flavour. Just make sure you leave room for hearty mains like chicken shish and racks of lamb served with courgette, carrot and couscous. From $78.